Il Trecento (1300’s): aside from the mid-century devastation of the Black Death, this was a bold and thriving century on the Italian peninsula. 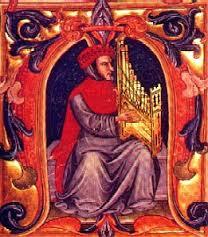 The great cities such as Florence and Venice were booming and culture flourished. 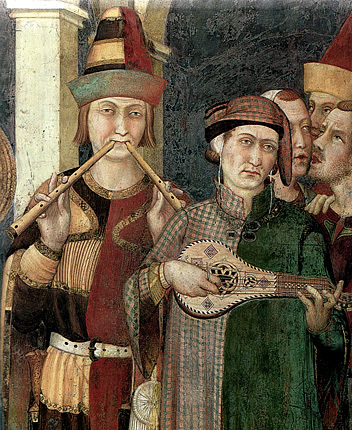 By the 1320’s Dante Alighieri had initiated a new literary movement with his passionate argument for the use of vernacular Italian (as opposed to Latin) and his incorporation of the courtly love ideals of the troubadours into a new Italian poetic style. Generations of poet-composers such as Francesco Landini, Jacopo da Bologna and many more, were inspired to their own trecento masterpieces. Their innovations in musical notation have left us a legacy of musical manuscripts full of beautiful works, which collectively gave rise to a distinctly Italian musical heritage. 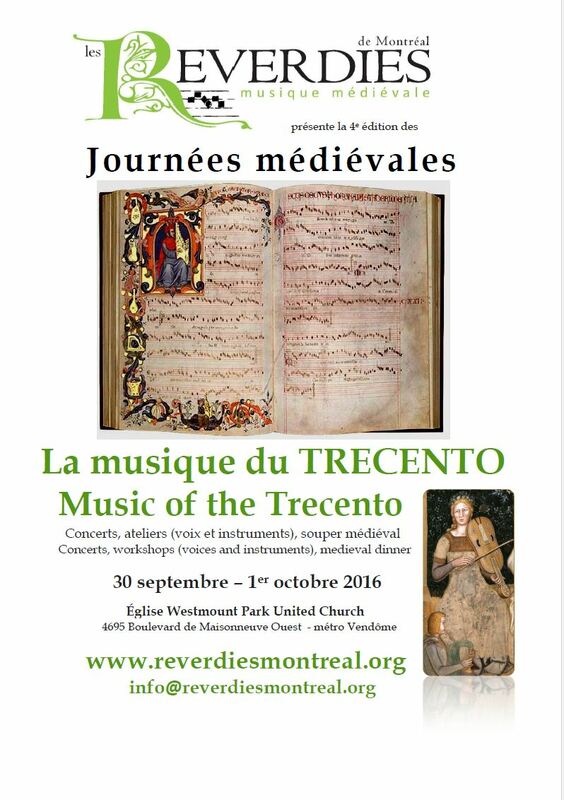 With their period instruments and clear voices, Les Reverdies de Montréal presents a few selections of this astonishing trecento repertoire. Les Reverdies gave the opening concert on Friday Sept. 30th at 8 pm. On Saturday from 10 am to 5 pm, there was a workshop for participants of all levels, followed by a concert with the ensemble Convivio, directed by Angèle Trudeau. The evening finished with a medieval dinner. Copyright Les Reverdies de Montréal - All rights reserved.